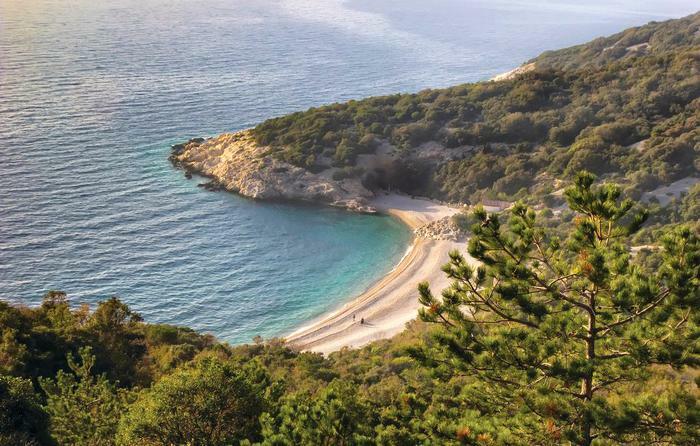 The beaches on the fairytale island of Cres are ideal for all of you longing for a peaceful yet active vacation by the crystal clear blue sea. The island of Cres is full of little hidden bays with pebble beaches. Still, considering the fact that most of them can be found at locations which are difficult to reach, you will need to be in good shape, have a lot of patience and, in some cases, a car or a bike. Embrace your inner explorer and discover the best beaches on the island of Cres with us. 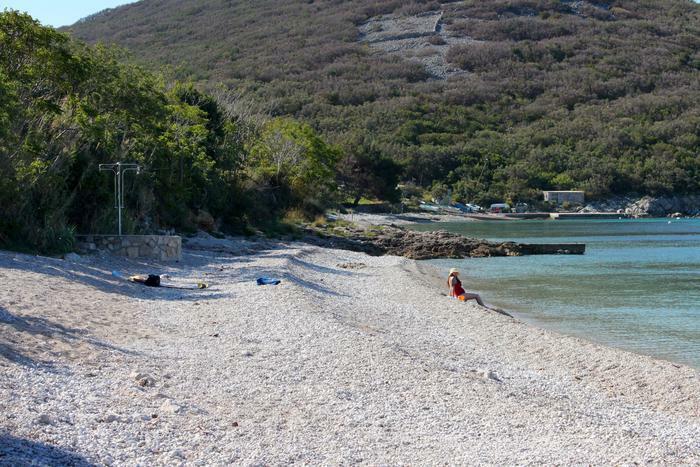 This little pebble beach is located in the Krušćica bay next to the town of Merag. The bay is listed as a special area of conservation for its biodiversity. It is a bit more difficult to reach – you will need to take a 15 minute walk along a macadam road through the woods. But when you get to the spot, a beautiful pebble beach surrounded with green hills will give you the warmest welcome. Since it is more difficult to reach, it has no amenities, so make sure you bring some food and drinks. Visit this wild pebble beach located in the town of Porozina, in a bay protected from wind. Since it is not that easily reachable (you need to walk down the woods), the beach is crowd-free even during high season. That is why it is ideal for adventure seekers, romantic couples and all of you looking for a peaceful beach time, thick shade and clear blue sea. Remember to bring something to eat and drink because there are no amenities on the beach. 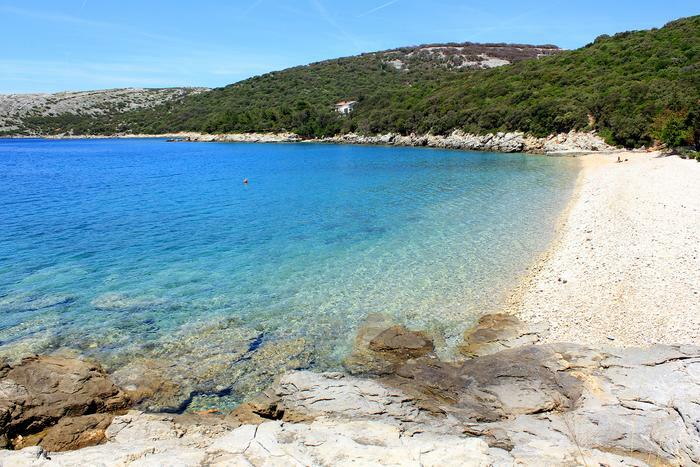 This is an ideal spot for your first swim on the island of Cres if you come to the island from Brestovo in Istria. The ferry docks in Porozina. You can get to the Mali Bok beach from Orlec where you should follow the signs leading to Mali Bok. On the top, by the cemetery, you will find free parking and walk over it for about 10 minutes (500 m) to get to the beach. It will take you 20 minutes to go back up. Mali Bok beach has no amenities to offer, so you should bring everything you need (food, water, parasol). There is no shade on the beach, so we don't recommend going to the beach around midday. If you want the beach all to yourself, go to Mali Bok in the early morning or late afternoon. Going back to civilization takes us northwest of the Kovačine Cape, where the popular Kovačine beach surrounded by steep cliffs is located. The beach is long so it is ideal for kids who are still learning how to swim. The beach has all the basic amenities – changing cabins, toilets, a bar where you can freshen up and take a break. The beach was awarded a Blue Flag which is a mark of exquisite cleanliness. Kovačine beach is perfect for families with children. You can rent pedalos, play beach volleyball, play fly board or tennis. 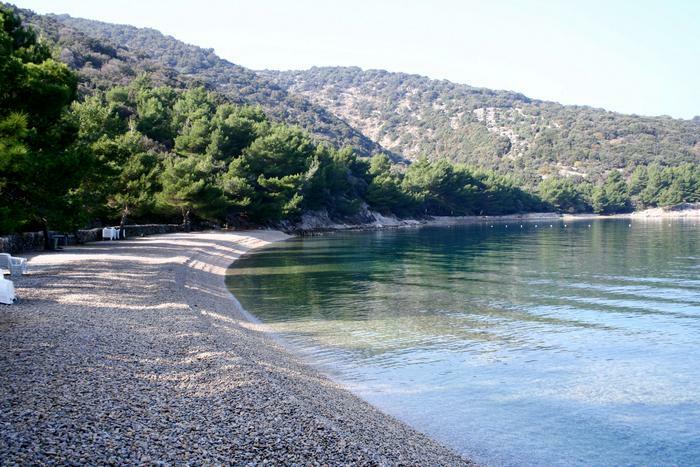 If you're wondering which beach on the island of Cres is suitable for your pets, pay a visit to the pebble beach Slatina. 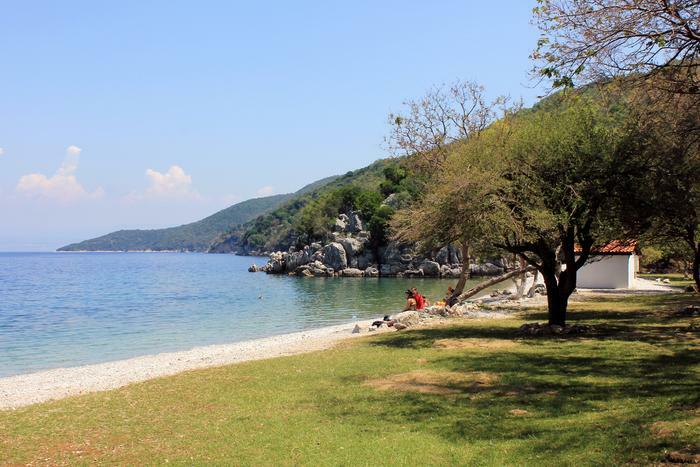 This beach is located in the Slatina camp close to the town of Martinšćice and has specific sections where dogs can enjoy swimming. Besides the beach being perfect for dogs, it has a lot to offer to kids as well. You can rent pedalos, animators are there to make sure the kids are having fun, and there are also playgrounds nearby. Žanje bay is located next to the legendary St. Ivan's beach under the picturesque town of Lubenice. In the bay, there is a little pebble beach and a sea cave Plava grota. You can enter the cave swimming through a wide entrance. In the cave, you will find a little beach which can get really crowded in high season. You can go through the second entrance, a lot more narrow, only by diving. The cave got its name from the play of light during afternoon which makes it turn blue. 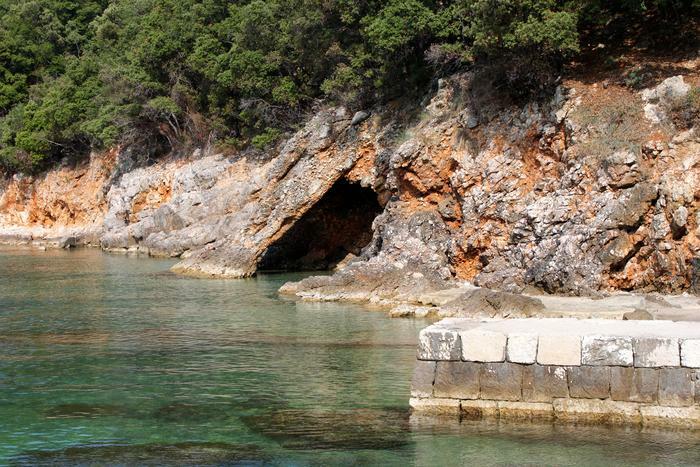 You can get to Plava Grota cave by a taxi boat from the town of Martinišćica or Cres. If you're in shape, you can go down on foot from the town of Lubenice. Have in mind that the descent takes about 45 minutes, whereas going back up takes more than an hour. Bring a lot of water, but don't carry a lot of equipment because it will only slow you down. We recommend doing this in the morning or afternoon. 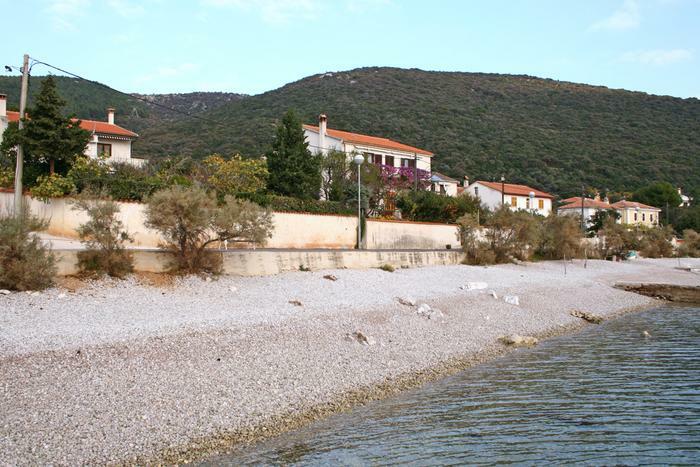 Where to stay on the island of Cres?